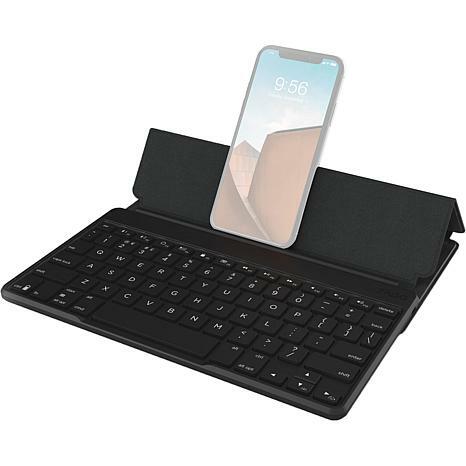 Make your life easier with a slim, portable keyboard that works with all your Bluetooth devices. The protective cover folds to become a built-in stand for any-sized smartphone or tablet. The keyboard turns on the moment you fold back the cover. When you’re finished, simply fold the cover over the keyboard, stow it neatly in your bag, and go.